Many factors contributed to the dreariness of this game. Being a mid-November game was the first contributor. The day was dark, cold, and almost eerie. It was the quietest group of 77,000 that I have ever heard. Cheering was at a minimum. The game started early to mid afternoon and finished in the darkness. In addition to the weather, the Badgers were facing a weak non-conference opponent in the middle of the Big Ten season, which was a rarity. 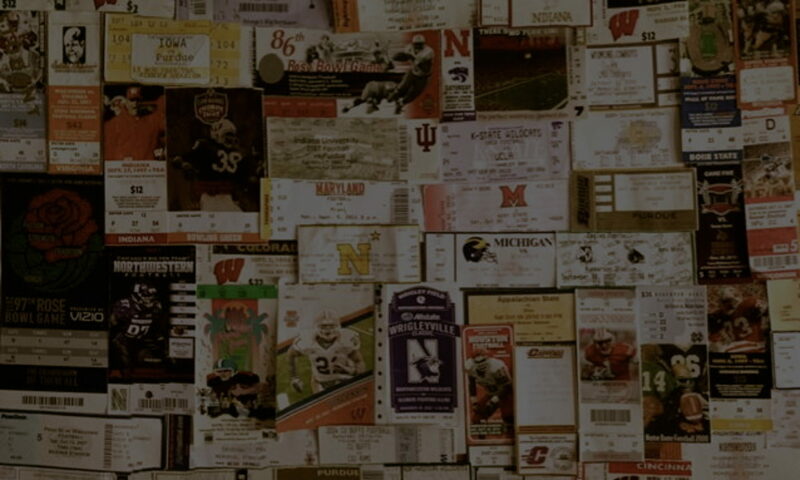 Big Ten games are the contests that ignite the crowd. Cincinnati was a very poor team with nothing to win for. On the other hand, Wisconsin needed the win desperately to keep bowl hopes alive. Last year, with a Rose Bowl championship season, every day was cheery. This season, high expectations turned into a roller coaster ride of results with a record of 4-4-1 slamming into this funeral of a game. Two weeks earlier, Wisconsin won at Michigan for the first time in decades. But, even that milestone moment turned to sorrow for the Badgers when Rose Bowl MVP, Brent Moss, was caught with cocaine and kicked off the team a week later. Without him, the Badgers’ season was sure to be tossed in the coffin. Thankfully, Terrell Fletcher picked up the slack and helped to defeat Cincinnati 38-7. With the record at 5-4-1, the Badgers needed a win the next week in Madison against rival Illinois to stay alive and become bowl bound.